Shortly after I arrived in China and observed the deaf community in Hangzhou, a beautiful thought struck me. Deaf people communicate in an entirely different way. If all the deaf people in the world use sign language, they could all learn the same sign language and communicate with each other regardless of race or nationality. No barriers. A truly international language! But alas, that was not to be. You see, sign language doesn’t just “substitute for” or “imitate” human language… it is a human language. As such, it is subject to the same restrictions and limitations by which all human languages are bound. In this case, one of the most important factors is that deaf communities are very often isolated. They’re isolated within a country, with a city, or within a district. Without a means to regularly communicate, communities drift apart linguistically over time. 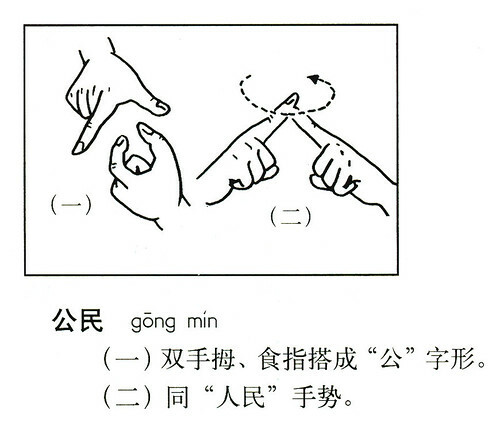 One of the ways that Chinese sign language sets itself apart is its references to Chinese characters. Certainly not all signs make reference to Chinese characters, and those signs that do make reference to characters don’t necessarily do it in a character-for-character way, but the influence of characters in Chinese sign language is tangible. 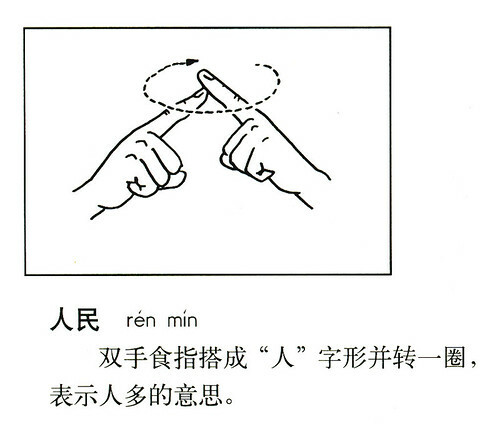 I don’t actually know Chinese sign language… does anyone know any other interesting Chinese signs? 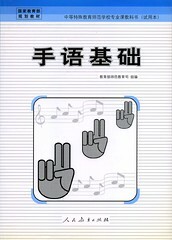 I recently picked up a book on Chinese sign language called 手语基础. “Practicality” was not a major consideration in the organization of the book; it seems to be written by linguists for linguists. If I needed the book to actually communicate in Chinese sign language I’d probably be pretty disgusted with it, but since my interest is primarily academic, I’m enjoying it.